As the curtains close and the delegates disperse to their respective planes, trains, and automobiles, I find myself sitting in the hotel lobby in a state of thoughtful reflection. I’ve been to many conferences in my life. Some IT Service and Support focused, some CX and hospitality focused, some sales and marketing focused. Most times I’ve participated as a delegate, but I have also been involved as a partner on occasion. Suffice it to say, I’m well versed in the conference experience. 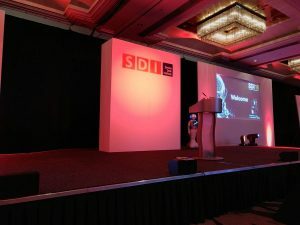 Now, having never been to an SDI conference before, I went in with the expectation that it would leave me with something. You know, that one thing that sticks in your craw and makes you want to go out and change the World. 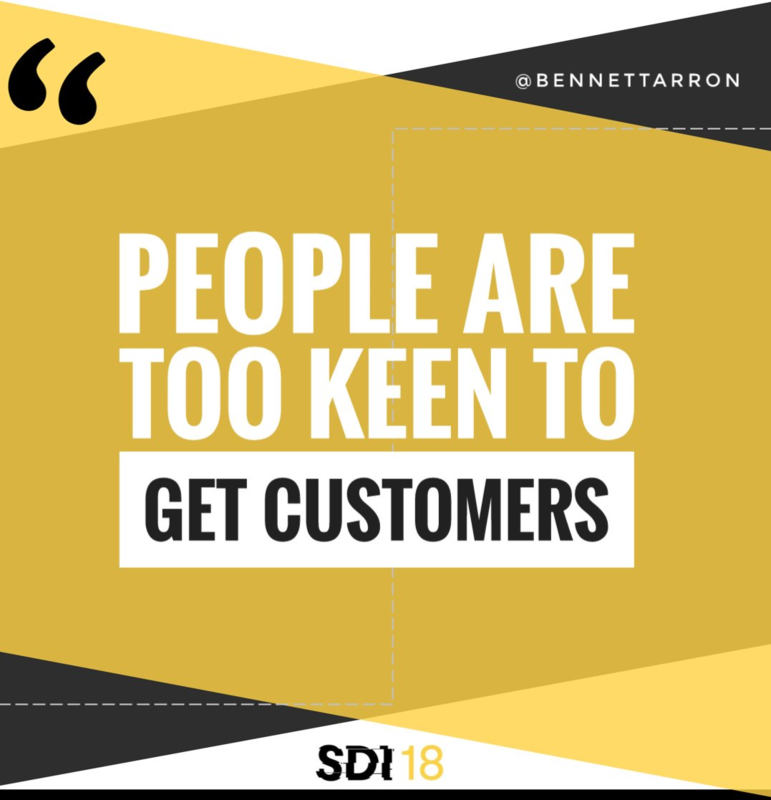 But, what I wasn’t expecting was the overwhelming sense of family I felt when I stepped through the door and the outpouring of what I will now refer to as celebrity service from the SDI staff, the speakers, the partners and the delegates alike. 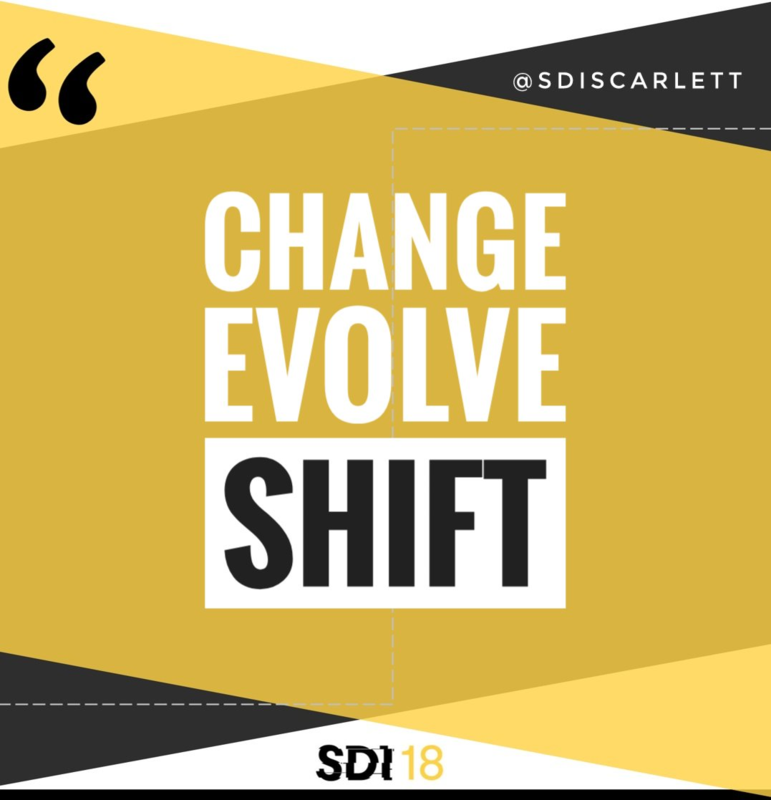 Every single session I sat in on at SDI 18 had one thing in common for me. They ALL contained a takeaway so powerful… so impactful…. so insightful….. so applicable…… so ACTIONABLE……. I cannot wait to share them with you! 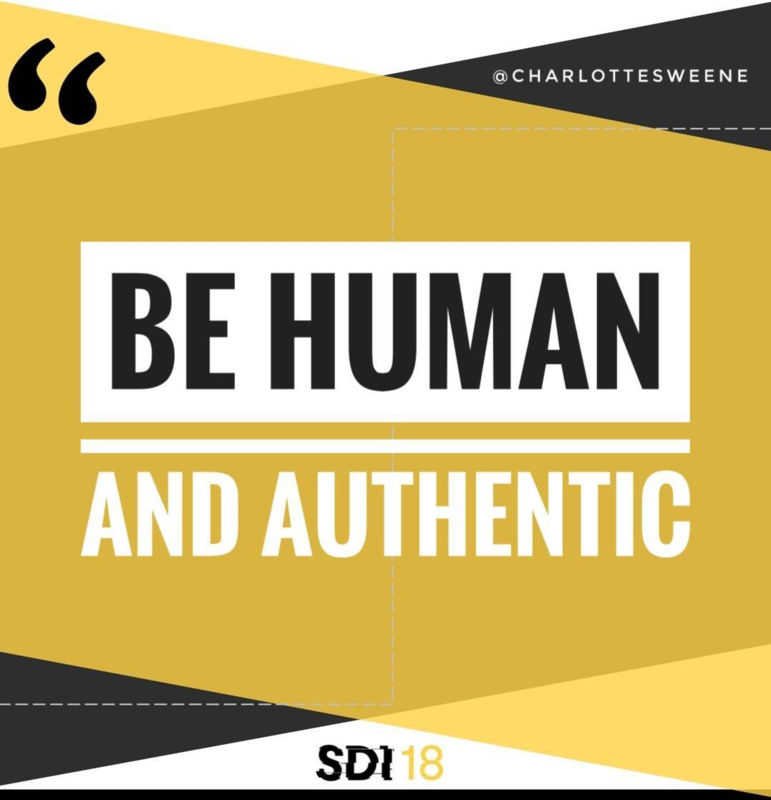 So, please continue reading where you’ll find my top 10 takeaways from SDI 18. For those of you who don’t know me, I work closely with Jeff Rumburg. Jeff is the Managing Partner at MetricNet and the co-presenter of the Tuesday morning Deloitte UK war story. 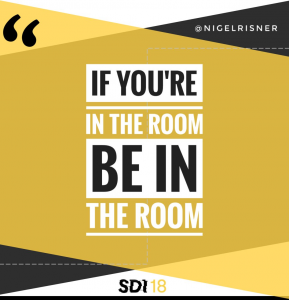 I realize that tidbit will only ring a bell if you happen to be a client of ours, or if you attended his session at SDI 18, have read one of his white papers or attended one of MetricNet’s monthly webcasts in the past. So, a more recognisable way to introduce myself would probably be – Hi, My name is Angela Irizarry and I’m the one you see tweeting away as @MetricNet. A passion of mine for the better part of 15 years has been discovering new and innovative ways to hack and enhance the mediocrity that plagues the very fabric of “customer experience”. 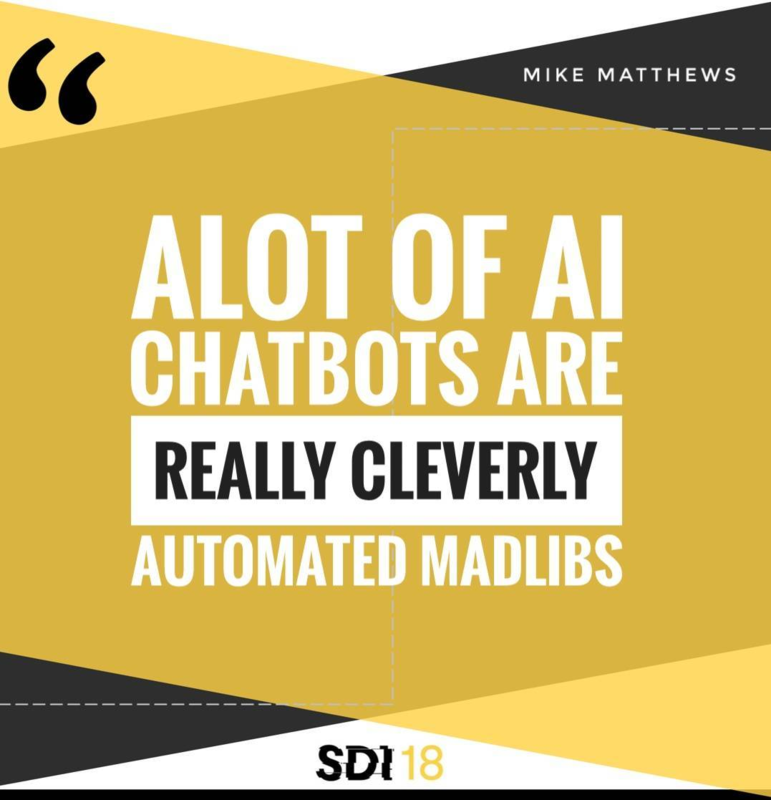 I’m sure you’ll all agree that one of the overwhelming themes of SDI 18 was AI. Now before you go running for the hills, I’d like to challenge what many of you fear – a world where robots take over your job. AI is both a disruptor and an enabler. It’s as simple as that. First and foremost, it disrupts existing and predictable customer needs and expectations. But I urge you not to focus on disruption. Instead, focus on the implications of disruption and the opportunities it presents. AI (and more broadly technology) enables us to better serve our customers. It enables us to do our jobs more efficiently and effectively. It enables us to become better leaders, better colleagues, better analysts, and provides us with an all around better work-life balance. Again, for those of you who don’t know me, I’m a lover of all things tech. To put it in perspective for you, I have 8 Alexa’s and one Google Home that control more than 100 connected home devices and at the top of my AI wishlist is now a Pepper mini. As a result, I have sky high expectations as a consumer. Yet the simplest of things continue to delight me. We’re about to get into the good stuff here, I promise. Over the past week, I’ve had the honor and pleasure of meeting some of the best and brightest in the IT Service and Support industry. 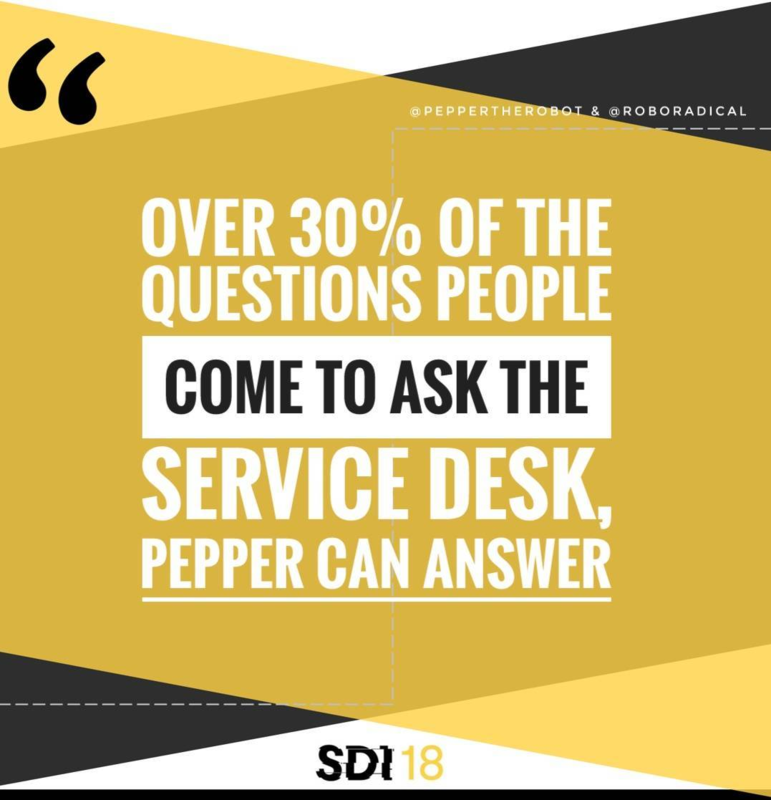 Delegates came to SDI 18 from all corners of the World for many reasons. Some were there for pure motivation, others wanted to improve their skill sets and still others wanted to simply see where the industry is headed. Four inspiring keynotes and loads of knowledgeable breakout session speakers shared their challenges and triumphs with us. While it was physically impossible to be in every session, here are 10 actionable insights you can use to begin improving performance and developing your very own celebrity service standards right away! Jeff Rumburg and Bruce Duncan presented a compelling case study that illustrated the immense power a mature performance measurement and management discipline has on the ROI of Service and Support. While there are ways to improve your performance at a revolutionary pace (i.e. 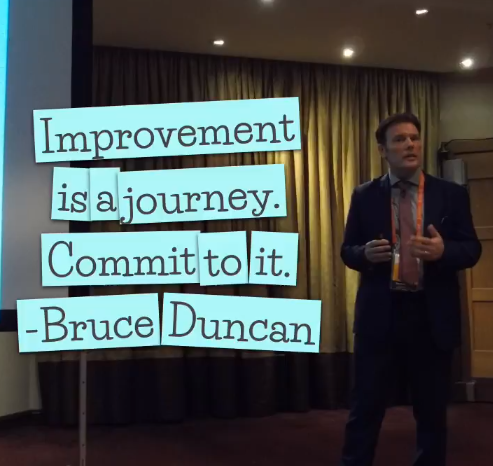 benchmarking), Bruce reminded the delegates that continuous improvement is a continuous journey. What does that mean? Simply put, there is no finish line when it comes to continuous improvement and there never will be. Why? Because disruption is inevitable and complacency quickly becomes catastrophe. We’ve all encountered a chatbot like the one Mike Matthews was describing. One that is programmed with a sparse knowledge tree and behind the curve natural language query search. But how often does that natural language query actually result in a useful or contextual knowledge article? Maybe 5% of the time? True AI chatbots are conversational. They are built on a mature knowledge tree. They have logic and intelligence built in. Many organizations see chatbots as a way to reduce cost, but they fail to recognize that a true AI chatbot, the one your customers will actually be thrilled to use, takes a significant amount of resources to develop before it is ready to be rolled out. So I urge you – please don’t implement a chat bot for the sake of implementing a chat bot. It will do more harm than good. Frustrating your end users to a point where it affects not only your quality, but also the morale and happiness that reverberates throughout the organization. Buzzword alert! Blockchain is gaining traction and you should take notice. 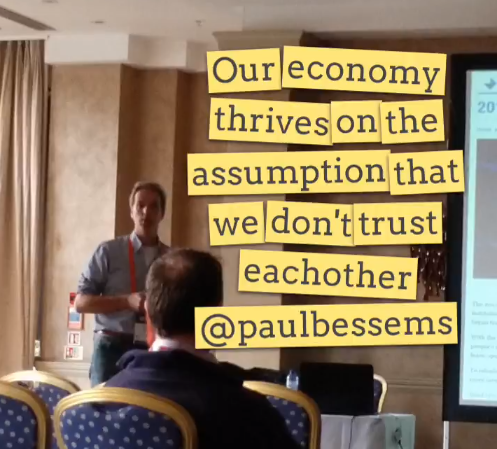 Paul Bessems delivered a stellar presentation that brought to light a little known fact about our global economy – we thrive on the assumption that we don’t trust each other. I had never really considered the fact that mistrust would be an organisational advantage, but it makes sense really. Blockchain is a relatively new concept that’s primary purpose is to organise trust. The beauty of blockchain is that there is no added complexity! Through a mix of new technology and a fundamental shift in the traditional organisation model, enterprises can leverage the benefits of “blockchain organising”. Bennett Arron closed out day one by sharing his terrifying experience with identity theft. This excellent closing keynote reminded delegates of the dangers of forsaking checks and balances to improve the bottom line. Fraud impacts consumers and organisations alike and rates are on the rise across every industry in every market across the globe. This begs the question – Are you taking proper precautions in your personal life to protect the most important aspect of your life – your identity? And, are you taking proper precautions in your professional life to protect the information of the customers who trust you with their sensitive information? Geoff Ramm revealed a critical service gap that most organizations don’t even know about. It’s the level of service you would provide a VIP vs. the level of service you would provide your average customer. As much as we’d like to think we treat everyone the same way, there is always a higher caliber customer that we treat differently. Maybe it’s their job title. Maybe it’s the revenue they bring into the organisation every year. Maybe it’s their relationship with someone in the organization. Whatever it is, find that person and compare the service they receive with that of any other customer. There is your opportunity to move from meh to wow! We’re all familiar with the terms ITIL, ISO, Agile, DevOps, CobiT, PRINCE2 and so on… What you might not realize is that your support organization is only as good as the framework it’s built upon. But – How solid is your foundation? How much of an impact are the frameworks you implement having on the end to end customer experience? How integrated is one framework with the next? Most support organizations are plagued with something called framework fragmentation. Mauricio Corona’s session brought this critical fact to light for the delegates of SDI. If you have implemented two or more frameworks, determine how much of an impact they have on the overall customer experience individually and how much of an impact they have on the overall customer experience when fully integrated as part of a foundation to your service and support organization. If there is one constant in life it is that of change. We can learn from the past. We can plan for the future. But the disruptive nature of change makes it difficult to predict whether to zig or zag at any particular moment. Scarlett Bayes from SDI said she would repeat several words throughout her presentation. Change. Evolve. Shift. And she did. I see this as the mantra of any support organization that hopes to achieve and sustain World-Class performance. Consumer expectations are in constant flux. But one thing’s for sure. They are NOT going backwards. And as we all know, consumer expectations are driving the expectations of enterprise end users. So, when you are planning for the next roll out or even designing your next training program, think like a consumer and be prepared to change, evolve and shift. Don’t be afraid to zig when you planned to zag and zag when all predictions said zig. 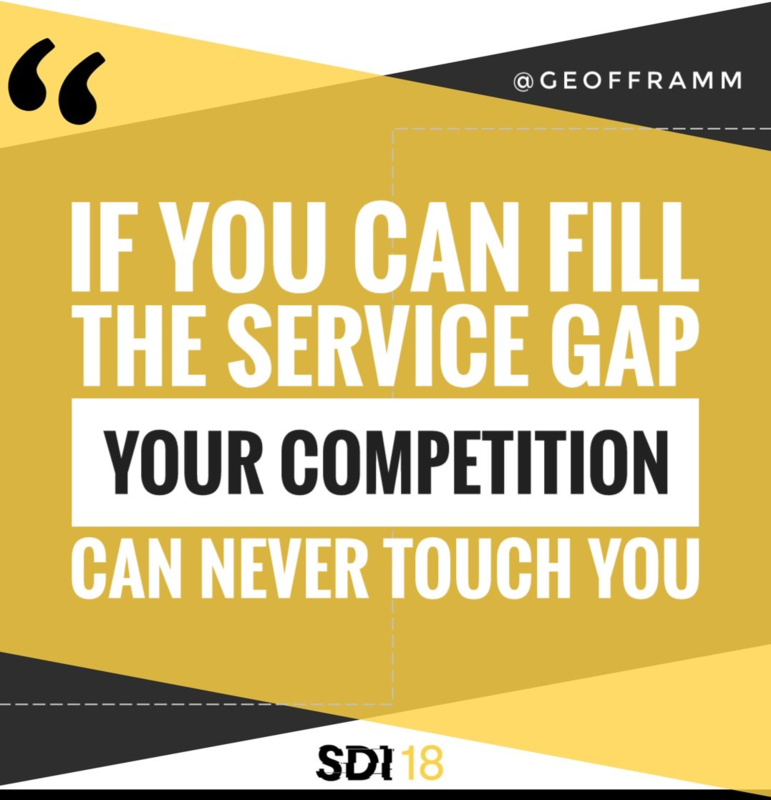 I hope you put these top 10 takeaways from SDI 2018 to use right away! 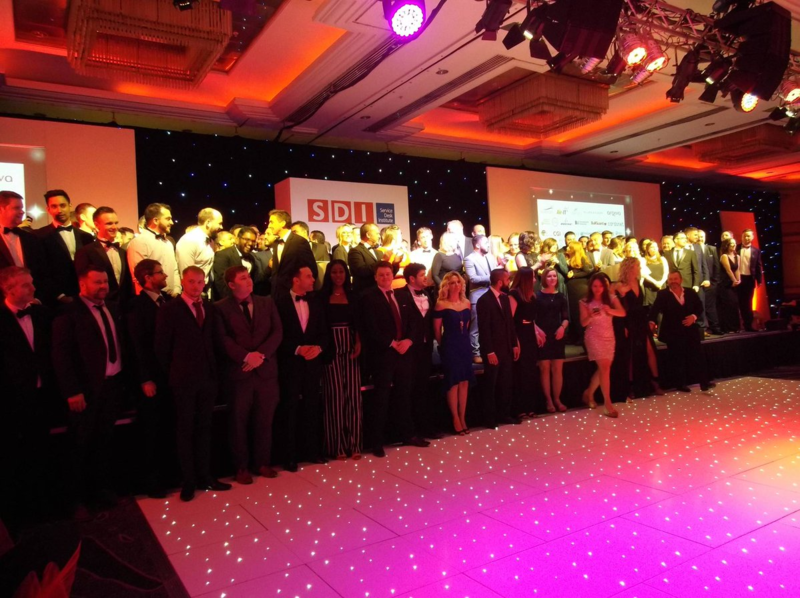 Finally, I’d like to end with a big round of applause to all of the 2018 SDI Award Nominees, Finalists and Winners. Your relentless pursuit of excellence is commendable and your passion is contagious! Looking forward to seeing you again next year at SDI19.